Sensitive skin experts, Simple, have released their brand new Water Boost range which is designed to reverse the 5 signs of skin dehydration; dryness, roughness, tightness, dullness and dehydration lines. Over the last two weeks, I’ve been trying out the three principle products from the line to see how they would work for my skin. Typically, I have a clear complexion and I’ve always been proud of how well I take care of my skin but it is not without its faults. I have oily skin, especially around my t zone but the outer parts of my face and high up on my cheeks, my skin is dehydrated and if I ever let my skincare slid or if I’m stressed, not getting enough sleep or eating a poor diet then it really shows in my skin. A lot of people don’t know that their skin is dehydrated, especially if they have oily skin like me as its a common misconception that skin cannot be both oily and dehydrated at the same time, but it can. If I take the outer part of my cheek and gently lift my skin up wards, I can see small lines and it is those that are a sign of dehydration. I also get dryness around the outer part of my face which again, shows that it is dehydrated. There are three key products in the Water Boost line; a gel face wash, cleansing water and a hydrating booster which is almost like a serum. I have been trying these three out but they’ve also released a gel cream and a sleeping cream too which sounds awesome! The range harnesses a unique blend of skin-loving ingredients such as plant extracts and minerals, with none of the harsh chemicals, artificial colours or perfumes that let many skincare products down. By containing ingredients that the skin loves rather than hates makes this range ideal for those with sensitive skin as well as dehydrated and dry because it shouldn’t have any aggressors in it. One of the key active ingredients within this line, Pentavitin, is a natural plant extract that has a complex that is identical to our skin. It works intelligently to mimic the naturally occurring moisturising agents that are found in our skin. It has the unique ability of being able to bond with skin cells and allowing the skin to build moisture over time. The first product that I tried out from the range is Simple Water Boost Micellar Facial Gel Wash, which can be used morning and night. It contains cleansing bubbles called micelles that gently attract make-up and dirt and instantly hydrate the skin. I found that this wash good to use as part of my morning skincare routine as its refreshing and cleansed my skin well. Unlike other gel face washes I’ve tried, my skin didn’t feel tight or dry after use; it really does hydrate the skin, leaving it looking and feeling clean and soft. The product that I instantly enjoyed was the Simple Water Boost Micellar Cleansing Water which is great whether I’m using it to refresh my skin in the morning with the quick sweep of it on a cotton pad or as the first step in my cleansing routine to start to remove my makeup. This micellar water sweeps over the skin easily and for being so gentle, it really effectively removes surface makeup and dirt from the skin. My skin feels refreshed and hydrated after use and again, it doesn’t feel dry, squeaky clean or tight. I much prefer this cleansing water over others like Bioderma and I’d definitely choose it when I run out in the future. The last product I’ve been trying out is theSimple Water Boost Hydrating Booster, a first for the brand. Designed to enable long-lasting skin hydration that cannot just be washed away, this product can be used as a hydrating primer, mixed in with a moisturiser or applied as a treatment to dehydrated areas. Personally, I like to use it in place of my serum, applying a layer to my skin before adding my day or night moisturiser. Its lightweight, none sticky and quick absorbing, leaving my skin looking and feeling visibly hydrated and healthier. The range is completed with another two products; a Hydrating Gel Cream which is an instantly hydrating moisturiser and the product that I cannot wait to get my hands on, the Simple Water Boost Skin Quench Sleeping Cream which sounds like the intense nourishment that my skin needs! Shop from Boots and Superdrug. I don't really use Simple products anymore, but I'm not entirely sure if they're cruelty free? I'll have to double check as this range sounds great for my skin type, so hopefully they are! 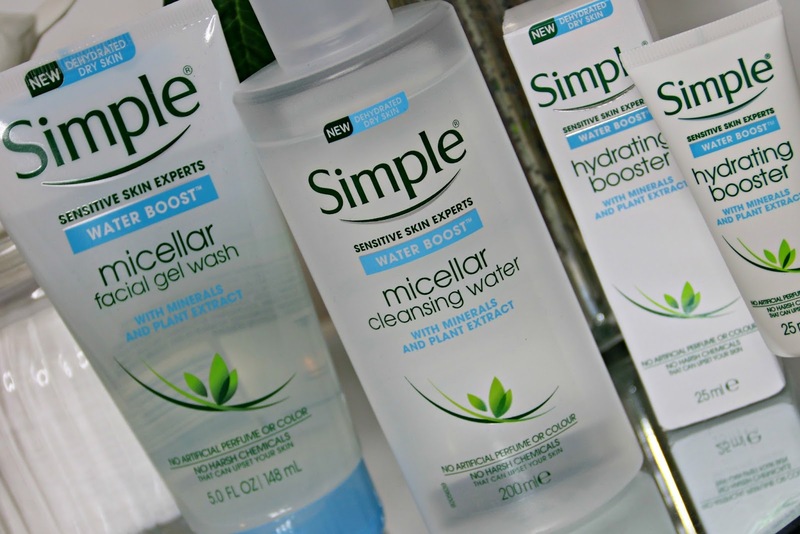 I do love a micellar water! But Simple products have burnt my skin like acid in the past, and I just cant go near them again! 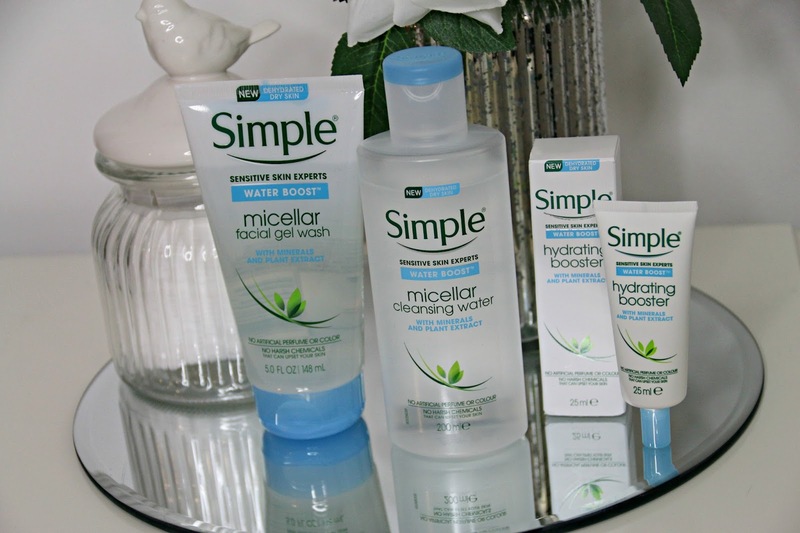 I use a different brand of micellar waters but definitely needs to check this range out. 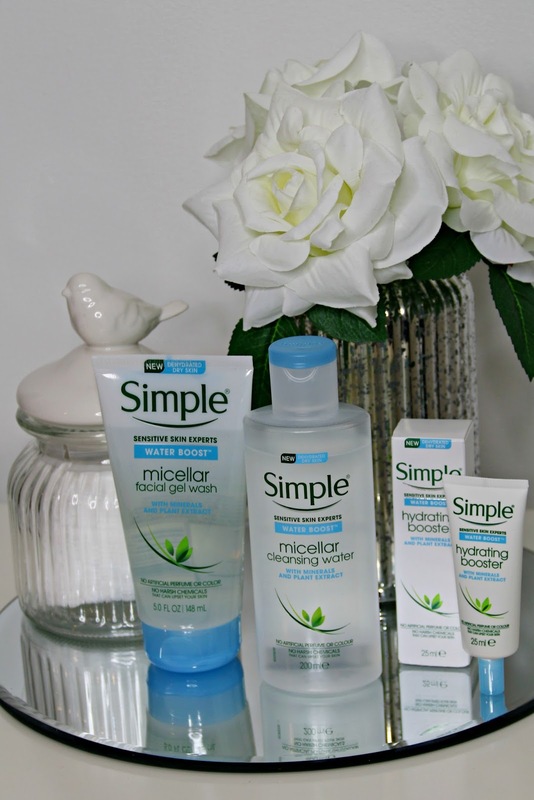 I love the simple facial range. This one sounds really good so will check this out next time I need to stock up.